Look, maybe it is a little overhyped, as some songs on here really don't do it for me, but still... what an experience! Saw this performed live by a cover band and it really changed the way I looked at this album before. A Day In The Life is a contender to the best song ever made. the beatles shoot for a perfect balance between their rock side and their pop side on this one, and it actually works. it has a good concept, and even some good music. i also have to admit that A Day in the Life is a masterpiece, so the conclusion is that this is an actally good beatles album. Purchasing Sgt. 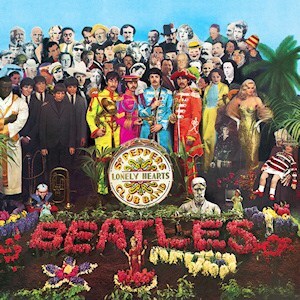 Pepper's Lonely Hearts Club Band from Amazon helps support Album of the Year. Or consider a donation?